The Guest House is located in an elegant apartment on the first floor of the Palazzo Valdés, an antique residence of Cagliari commissioned by patron Peter Valdes. Today the property is protected by the Ministry of Cultural Heritage; the art nouveau building and its intricate façade reflect the style of the period. It was planned in 1878 and construction work began in 1880. Four bedrooms each with a bathroom, LCD TV, fridge, safe, free Wi-Fi, and furnishings combing both the antique and the contemporary. 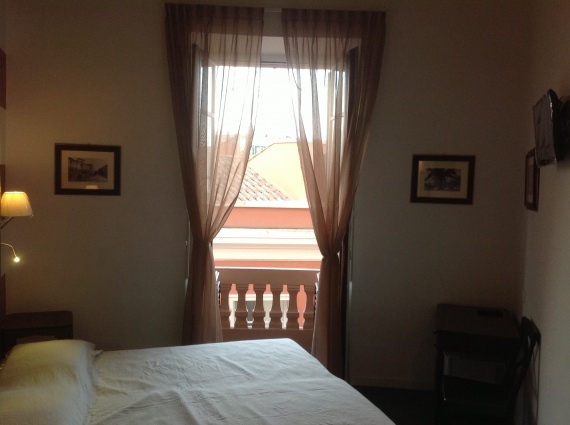 The Palazzo Valdés is a convenient starting point to explore the historical centre on foot. In front of the Guest House, the glass elevator will take you up to the castle and medieval quarter, and within walking distance, you’ll find the bus stop going in all directions.The Guest House is located in Piazza Marghinotti 1, on the corner with Viale Regina Elena, on the first floor of the Palazzo Valdes, within walking distance from the Bastione Saint Remy beneath the castle, in the heart of Villanova quarter. The Guest House with the Bed and Breakfast option offers guests a comfortable environment, while remaining in touch with the island’s traditions.